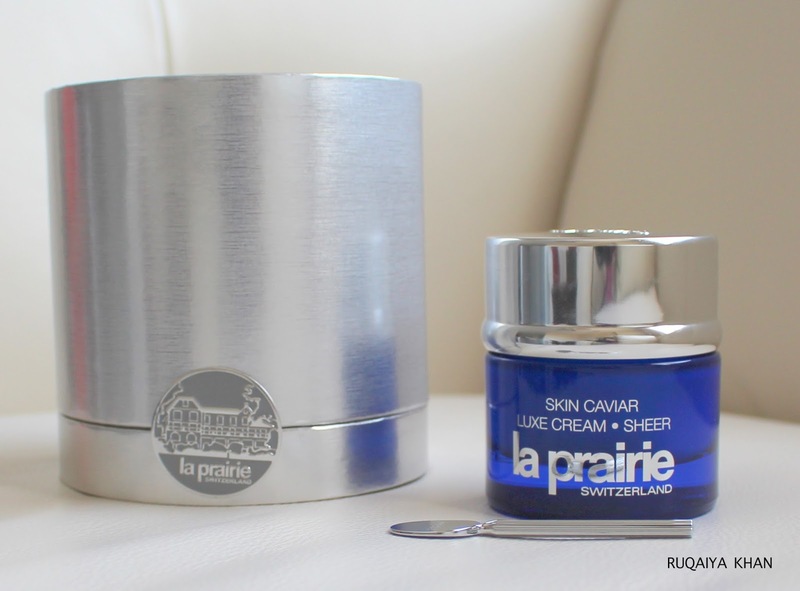 It's been exactly 45 days since I started using this ultra luxurious, life changing beauty cream from La Prairie. It's the Skin Caviar Luxe Cream Sheer formulated with caviar extract and an exclusive cellular complex that includes ginseng root extract, horsetail extract and many more age fighting ingredients to lift and firm facial skin. My skin looks even toned and definitely a lot fresher and youthful. I was amazed from day 1, because I could feel how it tightens the skin, especially around my cheek area. I am so happy to share this luxurious beauty cream with you because it works in more ways than I initially thought it would. To find out all the difference it made to me, keep reading. I am so happy that my skin looks much refined and even toned. I have been using this cream alone on my face for day time along with sunscreen. For the past 45 days, I applied this directly on my skin without a serum, to thoroughly evaluate its effectiveness. Over the course, I felt a visible difference in the texture of my skin. My skin looked hydrated, firmer and radiant. The rest of my skincare routine was the same as before, so this was the only addition for my daytime routine and I even stopped using my trusty The Truth Serum to fully evaluate the Skin Caviar Luxe Cream Sheer. I apply this after cleansing and toning and use my finger tips to smooth it over face and neck. It absorbs quickly, however, I do wait a little bit before going on with my sunscreen/makeup. It does not leave any sticky residue and leaves my skin feeling velvety smooth. It has a strong scent, that is typical of beauty creams. Not a fan of that fragrance, but it's not an unusual/irritating scent, so I do get over it. Even though this is not designed to help with adult acne, I felt that I broke out much less during the past 45 days. I got my 'once a month pimple' on my chin, but that's about it. My acne did not spread like it usually does, so the anti-inflammatory ingredients in this are definitely at work. This lightweight cream can be used morning or night, however, I only used this for day time, because I prefer oils for night time. 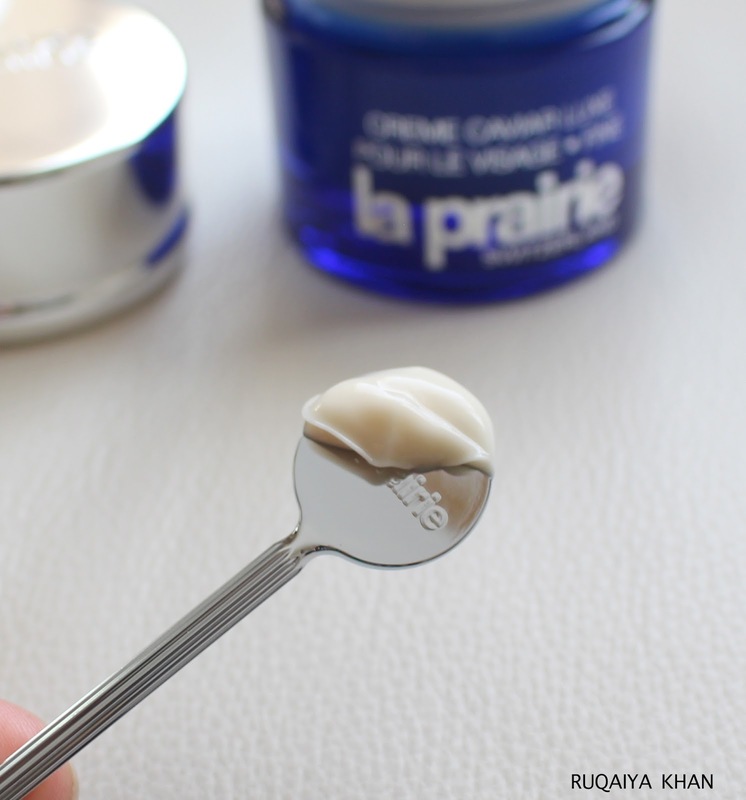 It's a great moisturizer for day time, as it keeps my skin hydrated and fresh all day and is one of the best moisturizers for my normal/dry skin. Something that really amazed me was after about a month, I noticed that my skin tone looked brighter. Not sure if it contains any light reflecting particles but it gives my skin a glowy appearance. My pores look diminished and overall my complexion looks brighter than it was. I love products that exceed my expectations and the Skin Caviar Luxe Cream Sheer one of them. 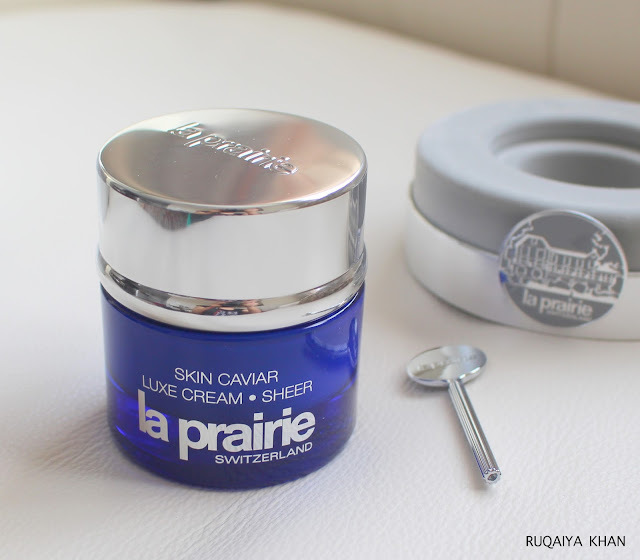 Its super expensive but the jar holds enough product to last a long time. I still have about half the jar left and it gives visible results. If you are tired of trying anti aging creams that are so heavy, they clog pores faster than treating signs of aging, then this is your best bet. 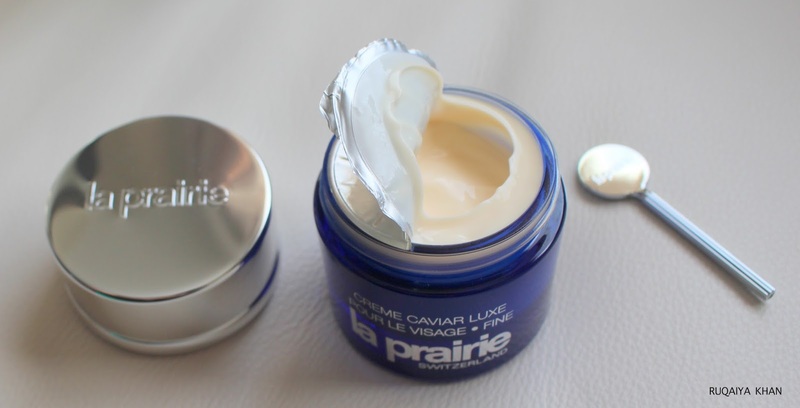 It's a lightweight formula and with the goodness of caviar extract and skin energizing ingredients that work beautifully to fight aging while giving a beautiful complexion. 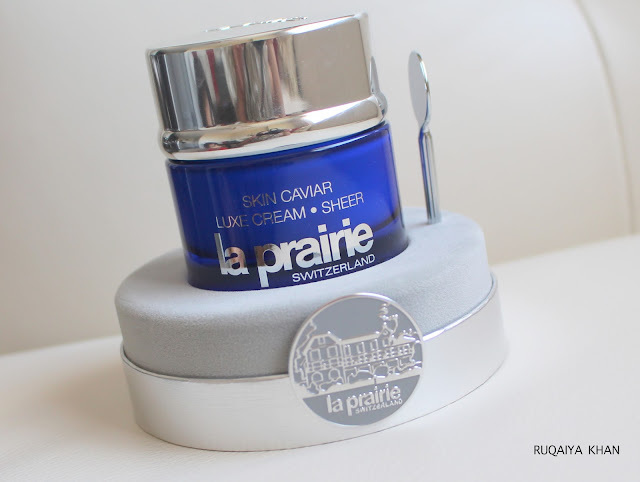 I would recommend this to anyone looking for an anti aging cream that lifts, firms, hydrates and feels lightweight and leaves a smooth, non oily look on skin. Bonus - it helped me achieve a radiant complexion! You can get it from Holt Renfrew, Nordstorm or Nieman Marcus. 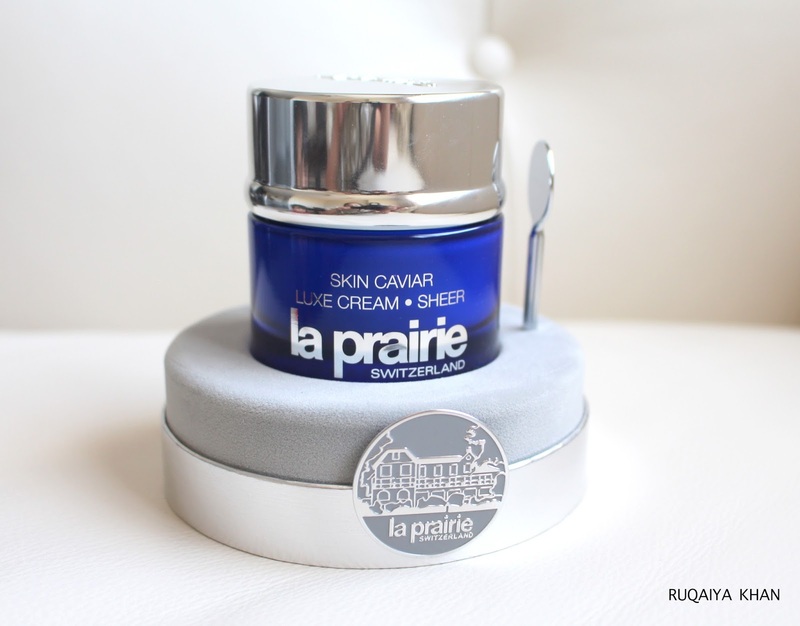 Find out more about the legendary Skin Caviar Luxe Cream Sheer here.